The charity regulator has concluded that the trustees of an independent school in Luton are responsible for mismanagement and misconduct. The Charity Commission has today (Friday 23 June) published a report of its investigation into the Rabia Educational Trust, which operates the Rabia Girls’ and Boys’ School in Luton. The inquiry opened in May 2016. 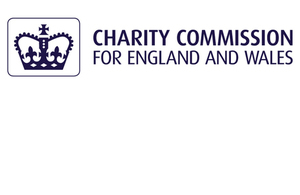 The Commission’s engagement with the charity dates back to 2012; the Commission’s report makes clear that the trustees failed repeatedly to satisfy the regulator’s concerns, prompting it to escalate its engagement to a statutory inquiry. The Commission says the trustees have now taken some positive steps to improve the charity’s governance. But it has concluded that there is still work for the trustees to do in order for the Commission to be satisfied that the charity is capable of operating the school in a way which meets the Independent School Standards prescribed in regulation. The regulator says the trustees must also urgently address wider governance concerns. It has used its powers and directed the trustees to make the required improvements by way of an order under section 84 of the Charities Act 2011. Our report concludes that this charity has been mismanaged by its trustees, who are responsible for a series of failings - including a failure to ensure that the school operated by the charity meets the Independent School Standards. Charity trustees’ legal duties extend to complying with other regulators and law enforcement agencies. Not complying with the legal requirements of another agency in connection with the charity’s activities may be regarded as mismanagement and misconduct in the administration of the charity. While there are signs of improvement, it is clear that the trustees need to do more to ensure the charity’s school meets the required standards. We have used our powers to ensure this will happen and will continue to monitor the charity’s trustees until we are satisfied they have made the required improvements, working collaboratively with the Department for Education and Ofsted. The Commission’s report of its investigation into the Rabia Educational Trust is published on GOV.UK. The Commission’s inquiry into the Rabia Educational Trust Limited was opened on 2 May 2016 and concluded with the publication of the report on 23 June 2017. Not all of the charity’s current trustees were trustees at the time of the opening of the inquiry.